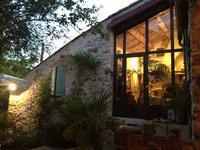 Herault: Peaceful country house B&B or family home with extra room for expansion. In a quiet hill hamlet in the Languedoc foothills we find this beautifully renovated home . . .
Large village house, on 3 levels, with 5 bedrooms, boasting exposed stone throughout, in the heart of the Languedoc parc naturel. 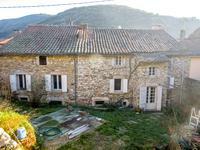 Huge potential for a B&B in this charming village house, comprising 10 rooms (250m2), 5 of . . . In lovely countryside in La Montagne Noire, this property is suitable for nature lovers, . . .
On the edge of the former capital of the Herault St Pons de Thomiéres, we find this gem of a . . . Pretty 3-bed stone house with courtyard, ground floor to renovate, in market town in La Montagne Noire, famous for its chestnut festival in October. This house is charmingly distinctive, with its circular staircase and green shutters, exposed . . .
Herault: Superb former Auberge/chambres d'hote with restaurant, function rooms, barn and land with truffle oaks. A spectacularly charming stone-built former Auberge next to a quiet road in the beautiful . 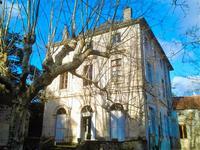 . .
lose to Saint Pons de Thomiere, fantastic opportunity for a new life in the middle of the . . .
Buy one get one free! A substantial and spacious hillside retreat with a second house to . . .
Renovated and decorated with taste this little gem should be snapped up; at 1 min's walk from . 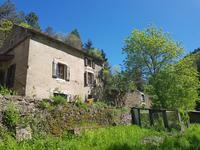 . .
Herault: Spacious stone house in picturesque Languedoc village location with seperate land. This charming stone house, situated in the quaint village of Verreries de Moussan,is . . .
Just on the outskirts of a lively market town in the Natural park is where this stunning . . .
Just on the outskirts of a lively market town in the natural park this property ensemble . . .
Could this be the perfect holiday home to lock up and leave? A 2/3 bedroom home in the . . . 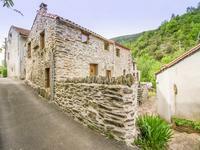 In the picturesque hamlet of La Borio Cremade is to be found this little gem of a 3 bed . . . If peace and calm are what you seek look no further; this little gem is tucked into the . . .